It's all done with smoke and mirrors -- minus the smoke. Ready to boggle your mind? The new showroom of Barron Mirror Glass & Door encourages possibility thinking with all the many displays and choices for home renovators. “This year, in January, we moved our showroom to Chesterfield, at 125 Chesterfield Industrial Boulevard, and it is drop-dead gorgeous. We were the largest showroom in St. Louis before, and now we’re twice as big. 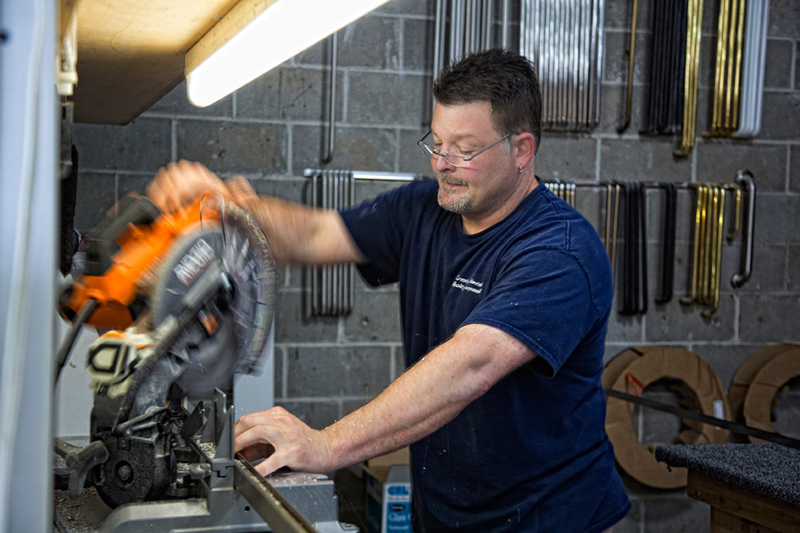 We have huge displays that give customers lots of ideas of what they can do in their homes,” says Tom Barron, owner, who designs most of the custom pieces they produce. “I love to challenge myself to design something that nobody else does. I can go into a room and visualize the possibilities. When I lay it out to a customer, I love it when their eyes get big, and they realize that an area of their home can be a highlight, where before they didn’t know what to do with it,” he says. Tom has lots of ideas. He’s designed everything from glass staircases, floors and handrails to mirrored bars, fireplaces, furniture and even abstract art. Barron has added painted glass to kitchens as backsplashes and sandblasted company logos on glass for lobbies. They’ve created reception desks using frosted glass, and installed a mirrored powder room with Venetian accents of rosettes, scallops and intricate edging on the mirrors. Their list of projects goes on to include glass fencing around a pool, a mirrored grand piano, a mirrored ceiling medallion in a hotel lobby, as well as a glass floor installed at a restaurant in Clayton, which allows customers to look into the wine cellar. Installing shower doors is more than just putting in the glass. 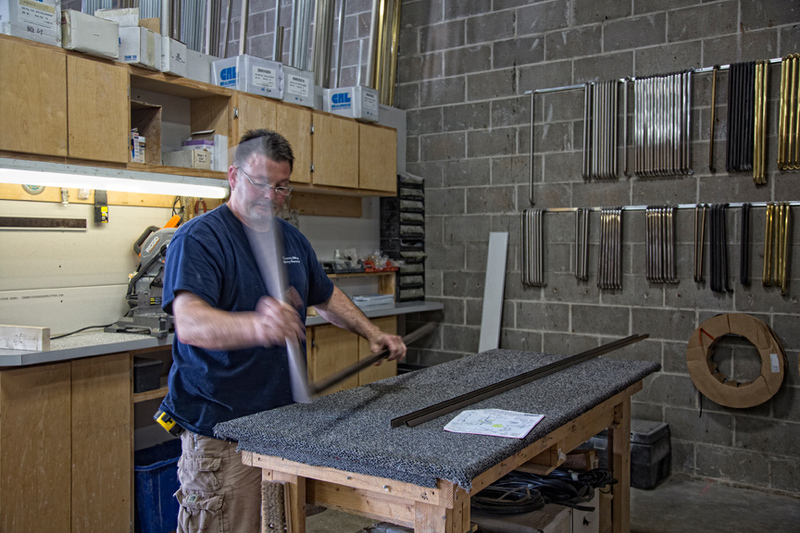 Today, customers may want designs etched or sandblasted into the glass, beveled edges and other custom touches to make each door a personal reflection of the owner’s taste. Barron also works commercially installing shower doors at the Ritz Carlton, Moonrise Hotel, Cheshire Inn and other area hotels. Tom realizes that he couldn’t have built his company to the success it is without a great staff. “I have awesome employees,” he says. 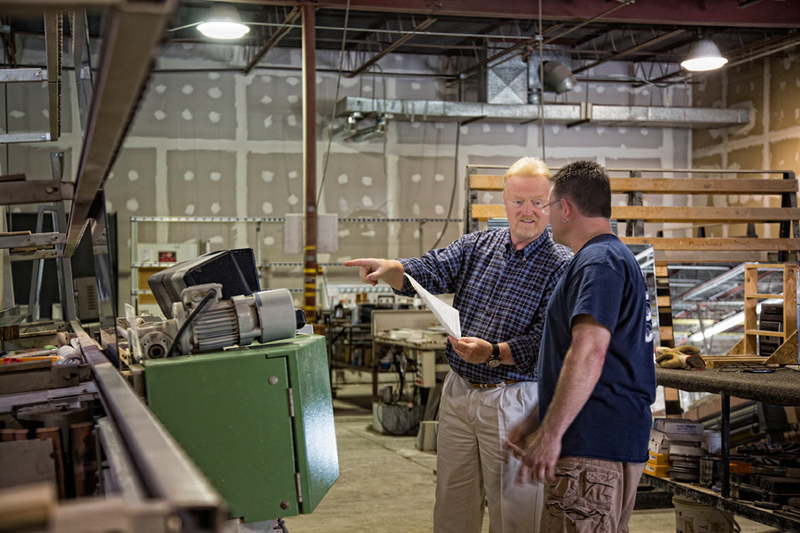 “Out of 15, seven have been with me over 20 years, and four more have worked here more than 10 years. That’s where I really shine—I’ve got talented employees in every position. 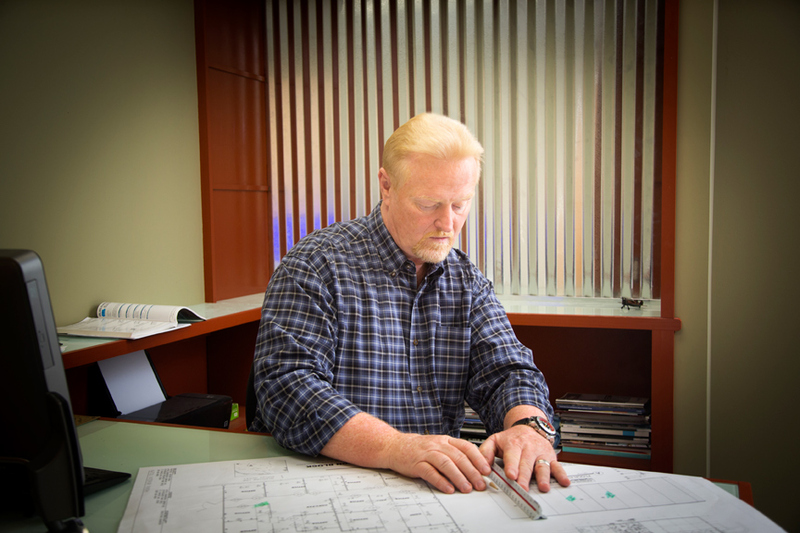 They have input in each project.” Robby Dirkers, who has been with Barron for more than 25 years, is a key to their success.